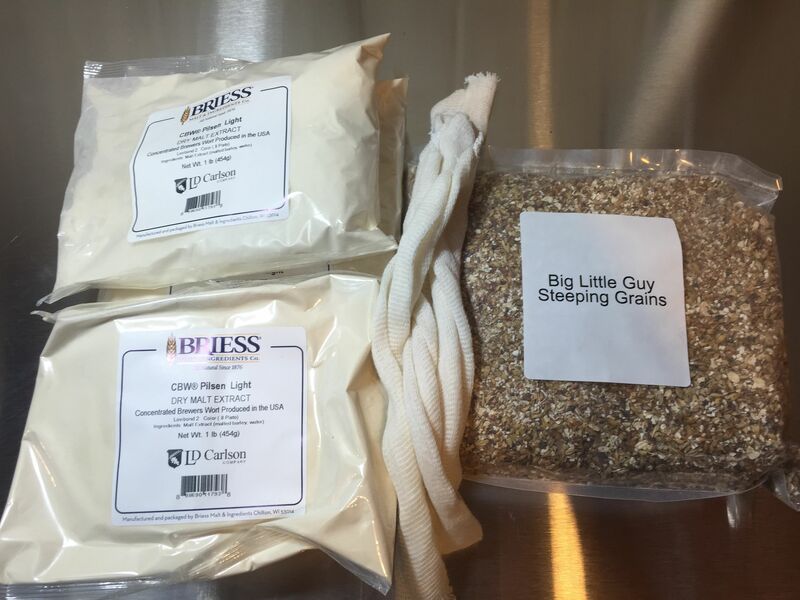 Great Fermentations Big Little Guy Session IPA is inspired by Founders Brewing Company’s All Day IPA. I brewed the extract version of this recipe. 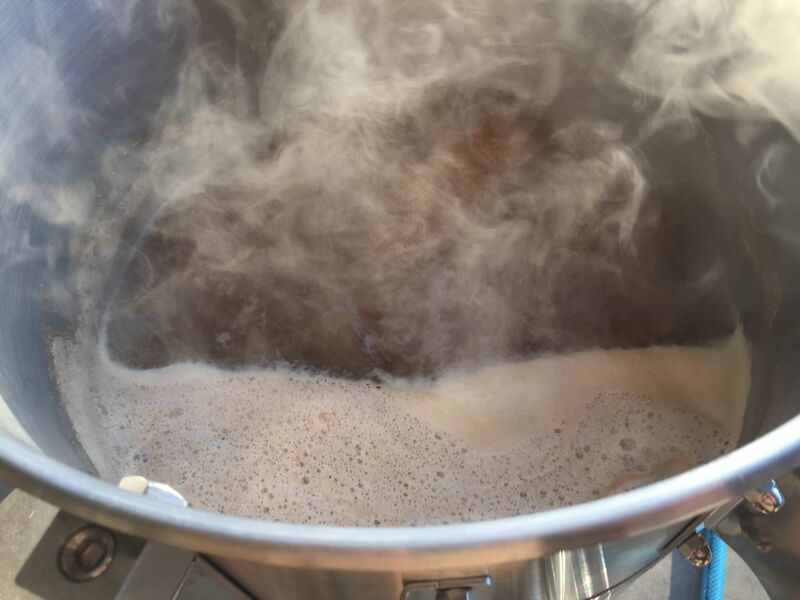 It features Crystal 20L, Crystal 60L, Dark Wheat Malt, Flaked Oats, 2 Row, and Light Dried Malt Extract. 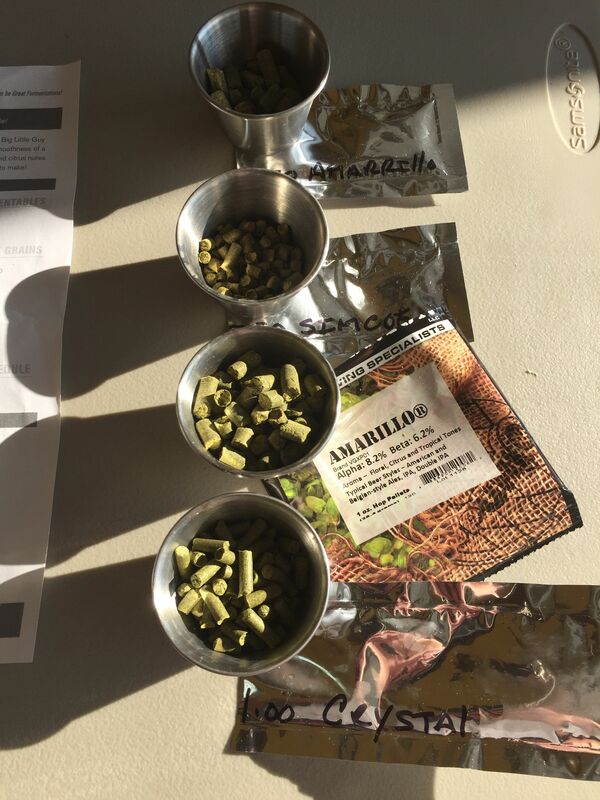 For hops it features Amarillo, Simcoe and Crystal. All hops are added at the 15 minute mark or later. About Session IPAs. 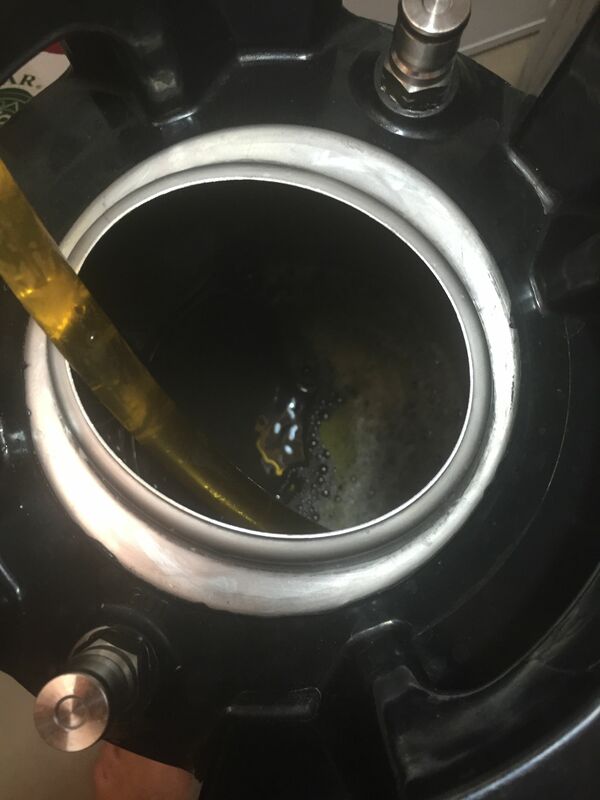 Session IPAs are lower gravity versions (Big LIttle Guy has a projected ABV of under 5%) of IPAs with the same level of hopping. Great if you love hops and hop flavor but want an easier drinking beer that you can have a couple more of. This recipe is available in both all grain and extract versions. A look at the recipe, excluding the hop additions. A grain bag is included. For this one, I left my Blichmann TopTier sitting alone by itself, awkwardly in the corner. I used my newer KAB4 for this brew. 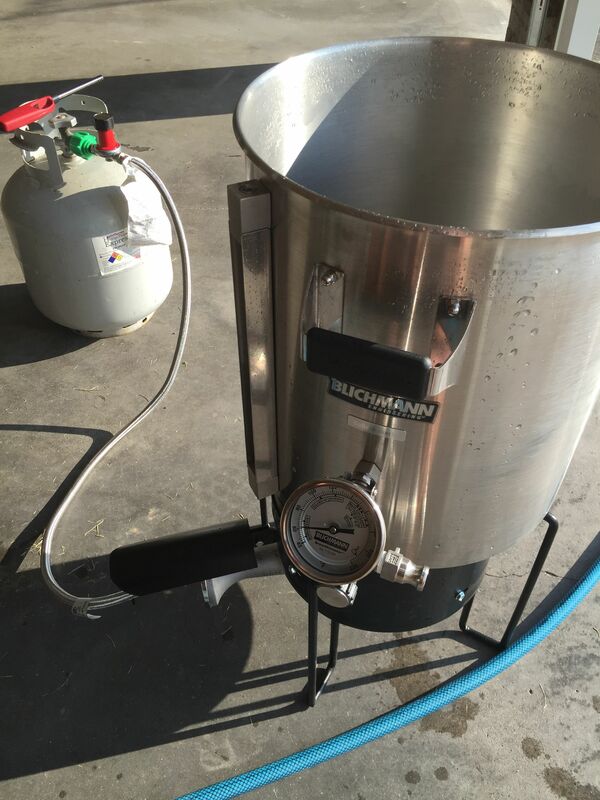 I did use my Blichmann G2 Kettle. I’m filling up the brew kettle here. 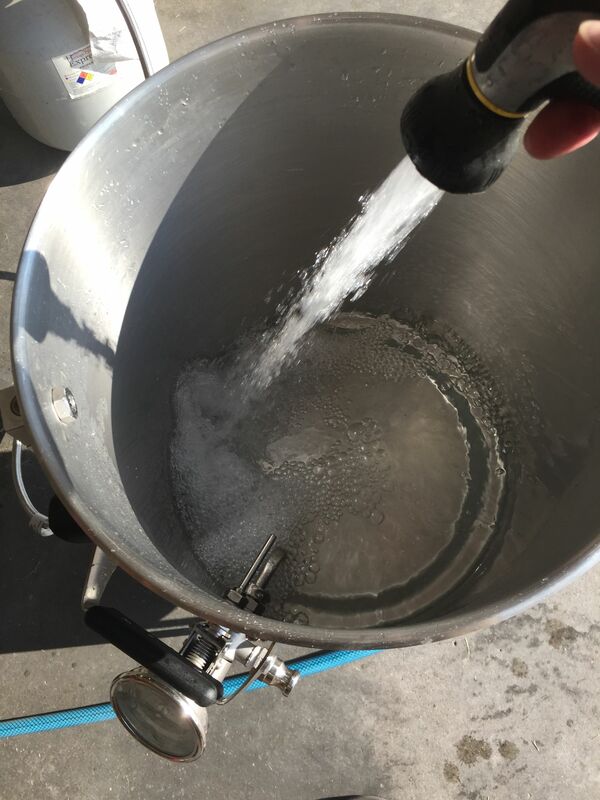 Here’s a look at the boil hop additions in order. Crystal, Amarillo, and Simcoe are all joining the festivities. One once each of Amarillo and Simcoe (not pictured) are used for dry hopping. Just starting to heat up. Steeping grains are, well… steeping. This recipe only calls for a 20 minute boil. All the hops are late additions, so a full 60 minutes isn’t required. That time savings offsets the 30 minutes used for steeping grains. The recipe includes both Oats and 2 Row. That means this is essentially a mini mash kit. This is after the steeping/mini mash is done. 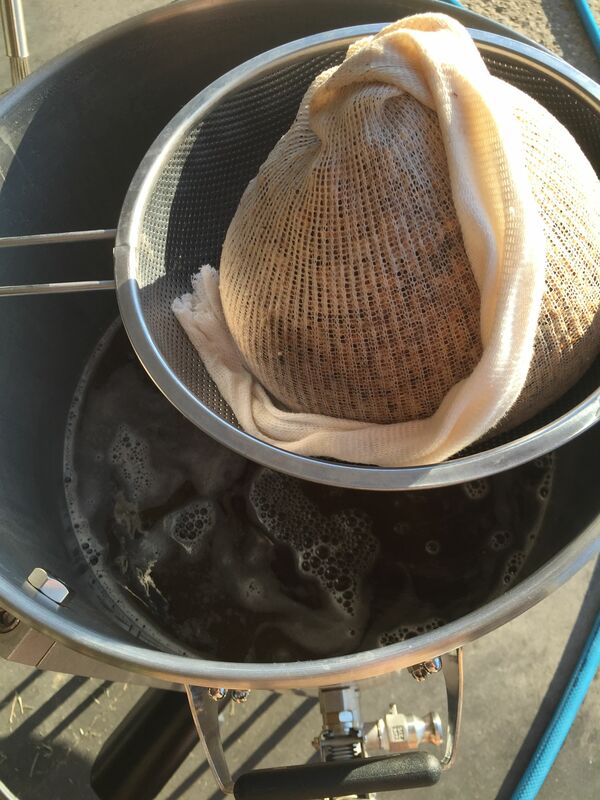 I put the grain bag in a strainer to let most of the wort drip off. Brewing this beer was straightforward. 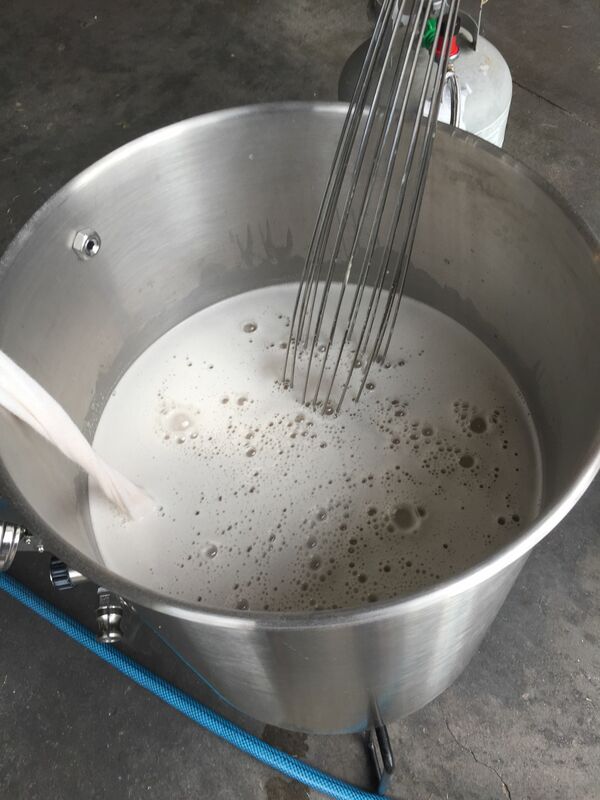 As mentioned previously this has a shortened boil along with a mini mash making this about the same as a regular extract boil. The mini mash is easy and explained in the directions. Fermentation calls for the chico strain. I used US-05. Yeast options also include WLP01, Wyeast 1056 and… A07 Flagship one of the new Imperial Organic Canned Yeast Strains. A closer look. 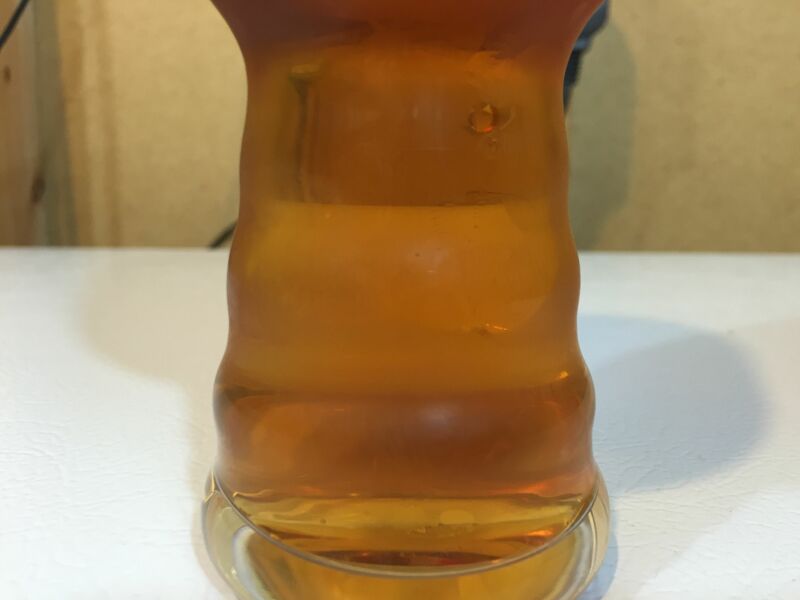 After a week or two in the keg, this beer has good clarity. This picture is with a bit of condensation on the glass. This is an apt tribute to All Day IPA. Easy to brew and easy to drink. Great hop flavor and an easy to drink lower ABV. This was one of those beers that I was afraid I’d run out of before getting the in-the-glass picture. This recipe makes a great beer. 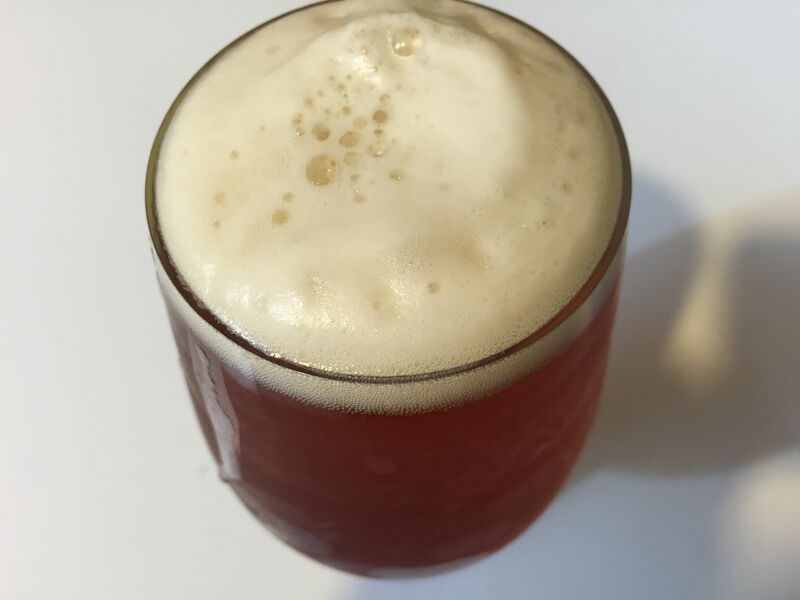 This entry was posted in Commercial Clones, Extract Brewing, Great Fermentations, HBF Tested, Recipes, Reviews on October 19, 2015 by admin. 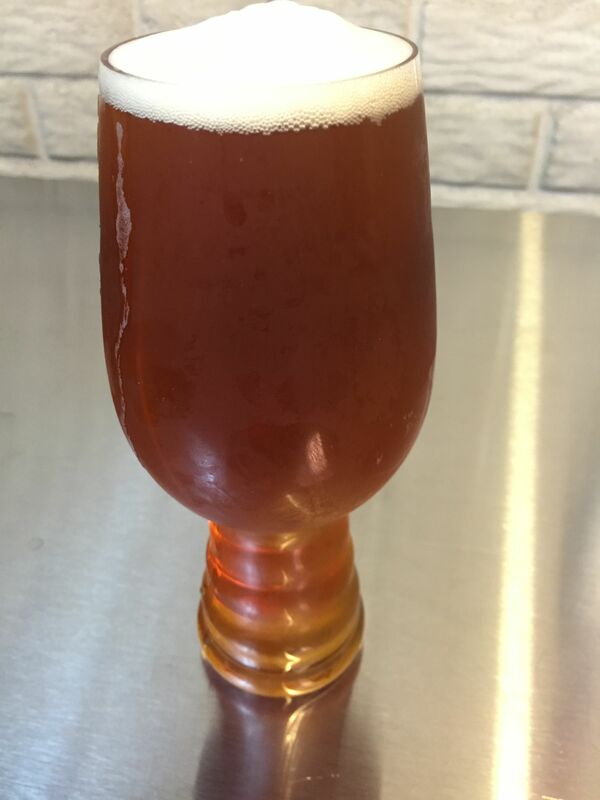 Is that a different Spieglau IPA glass? It looks wider at the mouth. I was wondering the same thing. Are they molded from something? Those are great tap handles, where did you get them?